Scott is a CERTIFIED FINANCIAL PLANNER™ Practitioner, as well as member of the Financial Planning Association. He works with a number of different clients in various situations, including high net worth individuals and small business owners. 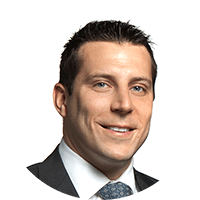 Scott specializes in financial planning and investments and is an Investment Advisor Representative with Atlas Wealth Advisors, LLC, a Registered Investment Advisor with the SEC. He obtained a degree in Civil Engineering from the University of Texas. Scott and his wife GeeGee have two daughters, Hadley and Hayden, and live in Dallas, in nearby University Park. They enjoy traveling whenever possible, visiting family in Indiana where Scott grew up, and San Diego, where GeeGee still has family.